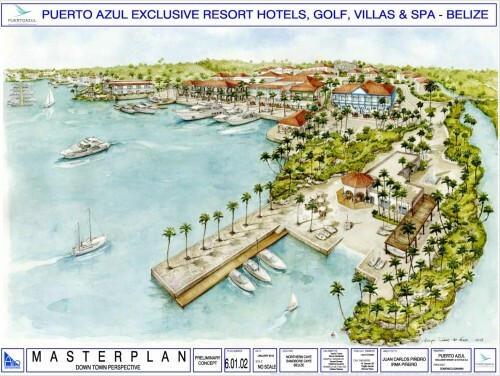 A group of 7 local and foreign conservation NGOs, including Healthy Reef Initiative, the World Wildlife Fund, Oceana in Belize and the Belize Tourism Industry Association, have evidently strengthened their resolve against the Puerto Azul project, a multi-million-dollar, mega-tourism project which is proposed for the Lighthouse Reef Atoll at a location only 8 miles south of the Great Blue Hole. Belize continues to be a much sought-after tourist destination, with arrivals surging by nearly 30% for the first half of 2014. However, the environmental G-7 says that the project poses a threat to the livelihoods of both fishermen and tourism stakeholders. “In 30 years of sustained growth, Belize’s tourism industry has relied on one constant factor: the careful stewardship of our incredible natural resource base,” president of the Belize Tourism Industry Association, Herbert Haylock, said in a joint statement issued by the alliance. “To transplant a Disneyesque city into the middle of one of Belize’s most beautiful marine habitats is an act of environmental arrogance that runs counter to all that has made Belize an authentically unique and successful destination,” Haylock added. Haylock was recently successful in his bid to get the Belize Supreme Court to hear an application by the BTIA to have the court proceed with a judicial review of another large-scale tourism project: Norwegian Cruise Line’s Harvest Caye cruise port, which has also been at the center of controversy amid allegations that the Government did not adhere to proper procedures in granting environmental clearance. That dispute has yet to be ventilated in court. Roberto Pott, Coordinator of Healthy Reef Initiative in Belize, told our newspaper that they want to ensure that the proper processes are in place, and they want to sound the alarm now, about what is at stake – what the project, if it materializes, would jeopardize. He said that such a project would never work for Belize in its entirety, and a downscaled version at some other location should be considered. Janelle Chanona, Vice President of Oceana in Belize, said that Belizeans should start asking more questions about the project, which could have far-reaching impacts. She said that while the project could bring jobs, so could putting a Peppers Pizza on top of Xunantunich. “There are strong economic and cultural connections between Belizeans and Belize’s marine resources. This location in particular has a very special place in the heart of all Belizeans. It is a sacred place. You don’t scar sacred places. Developments must not risk our precious environment or compromise the livelihoods of this generation or future Belizeans,” Chanona said. 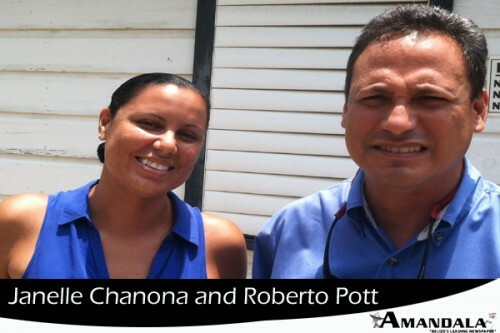 Pott and Chanona said that while they have heard reports that the company is preparing its Environmental Impact Assessment for the project, they don’t know what the terms of reference are and they don’t know what methodology would be used by the company in doing its assessment. Yet, there are those who wonder whether the project already has government approval. Chanona said that the Government had assured the conservation community that it would support only projects having minimal impact at such locations, which form part of the World Heritage Site, which includes the Belize Barrier Reef. “The project, named Puerto Azul, would transform two private islands on the northern side of the Lighthouse Reef atoll. The brainchild of Italian promoter Domenico Giannini, Puerto Azul was launched during the 2014 Cannes Film Festival at a lavish celebrity-studded party. Belizean ministers of government were also flown in for the occasion,” the alliance of NGOs noted. The group said that they have written to Chairman of the Investment Committee, Senator Godwin Hulse, Minister of Labour, Local Government, Immigration and Nationality, and received no reply. Hulse told us a few weeks ago that the Government would determine whether the project meets the 5-point criteria, which address environmental, social, cultural and economic considerations as set by Cabinet for potential investments, before signaling its position on the project.